Following its bestselling edition of Bradshaw's Handbook 1863, Old House brings you this fascinating guide to Europe's rail network on the very brink of the First World War. 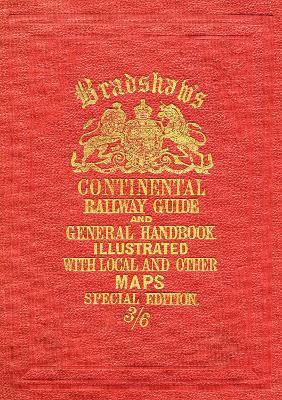 Published in 1913, it is divided into three sections: timetables for services covering the continent, short guides to each city and notable destination and features, and a wealth of advertisements and ephemeral materials concerning hotels, restaurants and services that might be required by the early twentieth century traveller by rail. It affords a fascinating glimpse of fin de siecle Europe and of a transport network that was shortly to be devastated by the greatest war the world had ever seen.